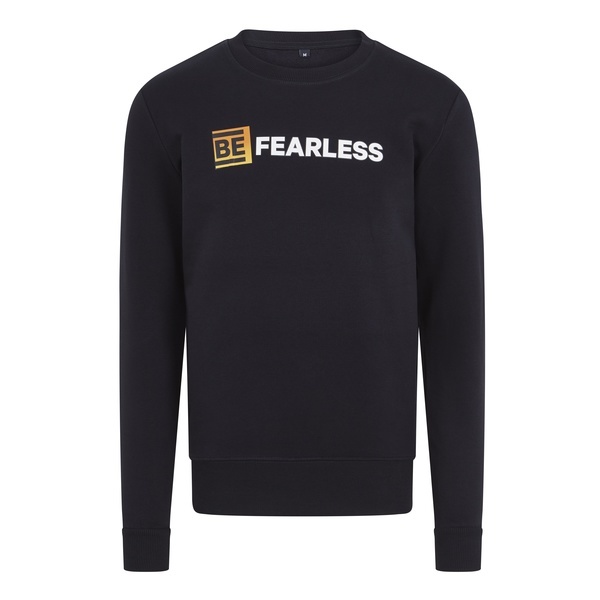 Our *BRAND NEW* BE Fearless TRIBE sweatshirt celebrates the heroes that make up the TRIBE 10% Project. It is made from a blend of cotton and features a crew neck and ribbed cuffs. Live the brand with awesome TRIBE logo loud and proud. Composition: 100% Organic Cotton. Free Shipping on all orders over £30. Standard delivery £3 via Royal Mail Tracked (2-3 days). Next Day Option and International available at checkout. We take payments through the leading payment provider, Stripe, and offer best in class payment security. Just use the speech bubble at the bottom right of this screen to message the team (or email hello@wearetribe.co).